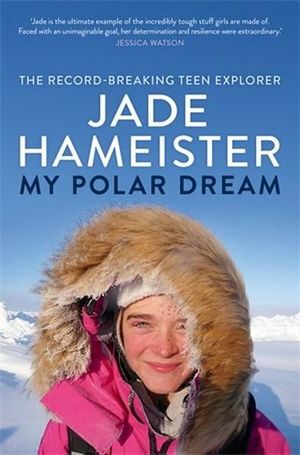 Jade’s book, My Polar Dream tells the story of a young adventurer who never gave up – who set herself incredible challenges beyond her years and experience. I was born and raised in Melbourne and I am in Year 11 at Haileybury College. I gave my parents a rough start to parenthood as I stopped breathing on day 3 of my life and had troubles with my breathing for the next couple weeks. I eventually grew out of it. 2. What did you want to be when you were twelve, and what do you want to be when you are eighteen and thirty? And why? When I was 12 I wanted to be Sharpay from High School Musical. When I am 18, I want to be studying hard, having fun and making a positive impact on our world. I don’t want to think about what I will be doing when I’m 30! That doing well at school would determine my future success. 4. What were three big events – in the family circle or on the world stage or in your reading life, for example – you can now say, had a great effect on you and influenced you in your career path? The first big event, was our family trek to Everest Base Camp when I was 12 years old and I met the woman who inspired me to start dreaming of my polar quest – Vilborg Arna Gissurardottir (“Villa”) from Iceland who had skied solo from coast to South Pole a year earlier. The second big event was completing my polar quest which opened my eyes to the devastating impact that global warming is having on our fragile and precious polar regions. I feel very strongly now about trying to play my part in saving our species from an extinction event of our own making. The third big event was probably the TEDx Talk that I gave when I was 15 about shifting the focus for young women from how we appear to the possibilities of what we can do and contribute to our world. Aside from the incredible training I received in the lead up to that talk from TED, it was the first time I’d ever spoken in public and I really loved it (even though I was really nervous). 5. Considering the innumerable electronic media avenues open to you – blogs, online newspapers, TV, radio, etc – why have you chosen to write a book? aren’t they obsolete? A book was the only way in which I could tell the whole story (not just pieces of it) and tell it in my own words (not in the words of a journalist or interviewer). 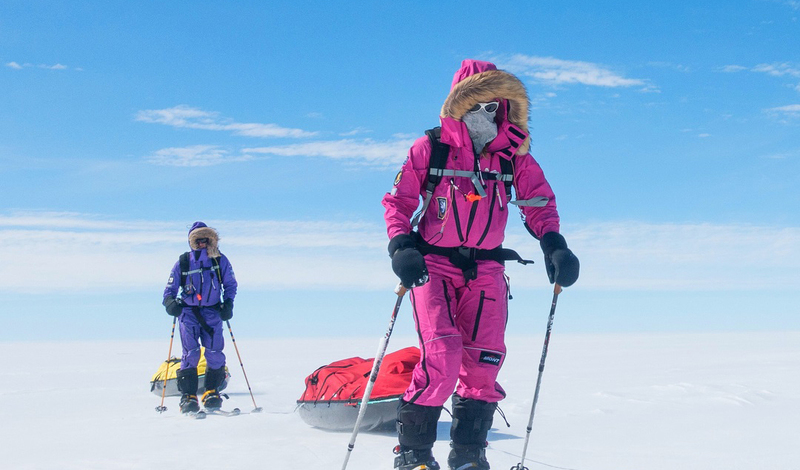 It tells the story in my words of my life so far, but focussing on my three polar expeditions. It has a little bit of educational stuff thrown in about our polar regions and climate change. AND there are LOTS of pictures, because that’s how I like to read books – look at the pictures and read the captions first, then decide if I want to read the book itself. 7. If your work could change one thing in this world – what would it be? For everyone to realise that are all part of the one human species and that our similarities are far greater than our differences and we need to start working together to save humanity from the destruction of the environment which sustains us. Elon Musk is probably my biggest idol – he is revolutionising the car industry with a more environmentally sustainable vehicle and now others are being forced to follow AND he’s working towards interplanetary space travel, which is one of my passions. I really believe the human species has a future in exploring other planets and the universe beyond Earth. To continue exploring (but not just physical adventures – also other things like in business), to be the best version of myself, to find my true purpose and to make a positive impact on our world. Beware – it’s a lot more work than you think when you start, but it is absolutely worth it in the end. AND make sure you work with a great publisher – Pan Macmillan were so supportive (and patient) with me and making sure that I was 100% happy with everything about the book – I am very grateful for all the help they gave me. Jade, thank you for playing.